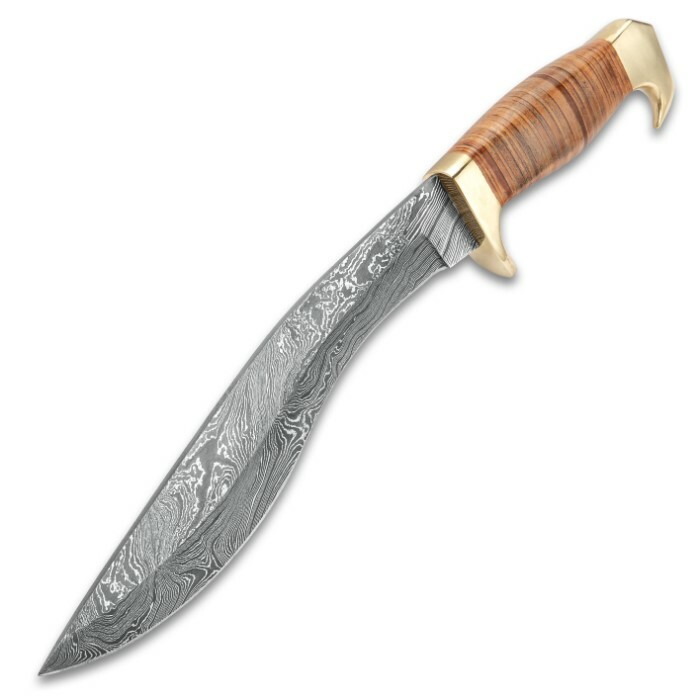 Uncommon Valor Damascus Kukri and Leather Sheath | BUDK.com - Knives & Swords At The Lowest Prices! 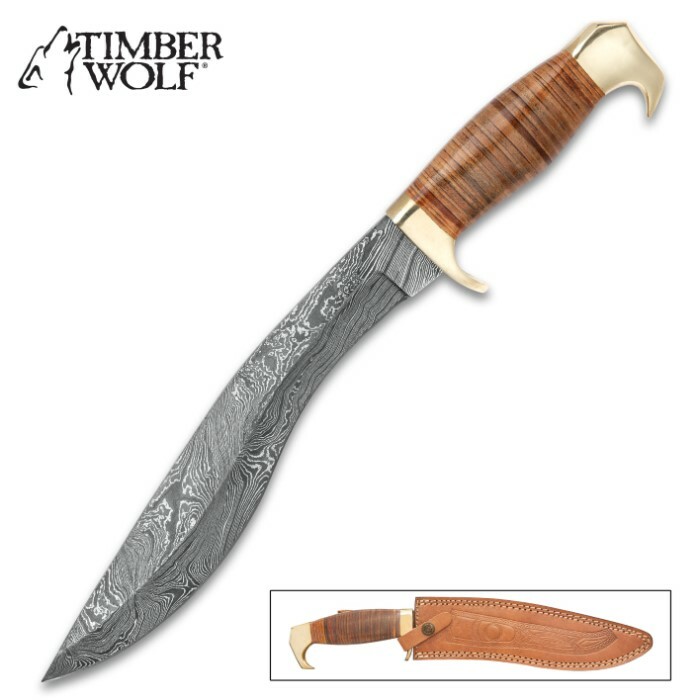 This Uncommon Valor Damascus Kukri is the perfect union of a combat knife blade shape with a unique, work-of-art Damascus pattern. The kukri blade has been used for centuries as a knife carried by combat warriors because of its phenomenal cutting abilities. 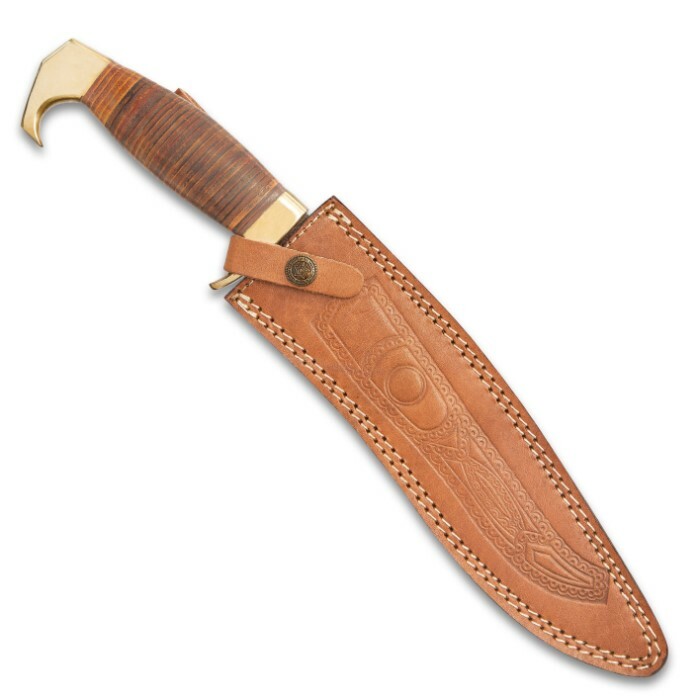 This formal version features a time-honored stacked leather handle which pays tribute to the historical leather handle knife used by Marines in combat theaters worldwide. 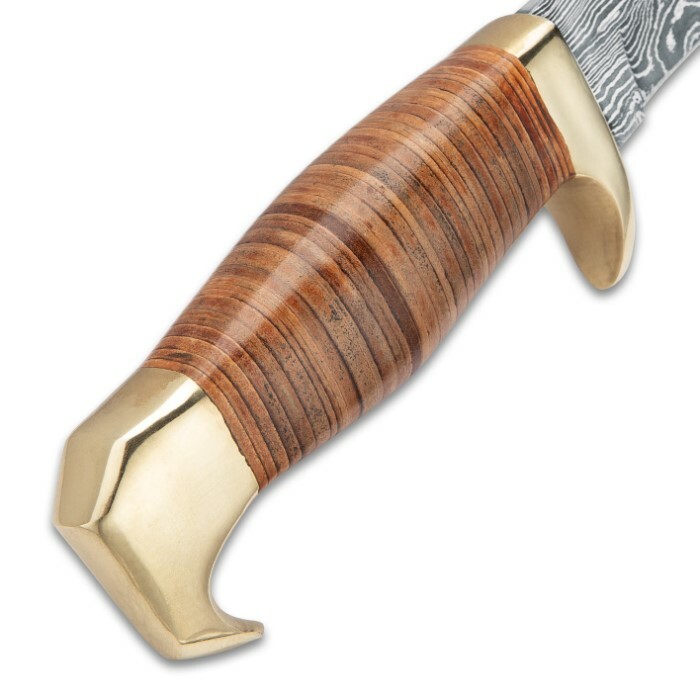 Brilliantly polished brass pommels and guards accentuate the deep patterns of the 9 3/4" hand-forged Damascus steel blade. Each knife also includes a hand-crafted, genuine leather belt sheath to carry your new family heirloom blade.